Whether if you have 2 days or a full week, here are 10 things you absolutely need to eat during every Disney World vacation. I mean seriously, were you really on vacation if didn’t eat these? Here are the 10 best things that you absolutely need to eat during every single Disney World vacation. Trust me, your tastebuds will thank you! You’ll regret it if you don’t. A cult favorite that’s just too hard to describe. Warm pineapple bread, vanilla coconut ice cream, and a caramel banana fosters-like sauce. Perfection. Get it from ‘Ohana or Tambu Lounge. Red velvet cake topped with two marshmallow Mickey ears covered in milk chocolate. Oh yes. Get it from anywhere that sells fudge, candy apples, and cookies like the Main Street Confectionary. There’s nothing better than a sundae drenched in warm peanut butter sauce and hot fudge. Get it from Beaches and Cream at the Beach Club Resort. Hands down the best dessert sandwich in all of Disney Word. You’ll be instantly addicted after the first bite. Get it from Sleepy Hollow Inn at Magic Kingdom. 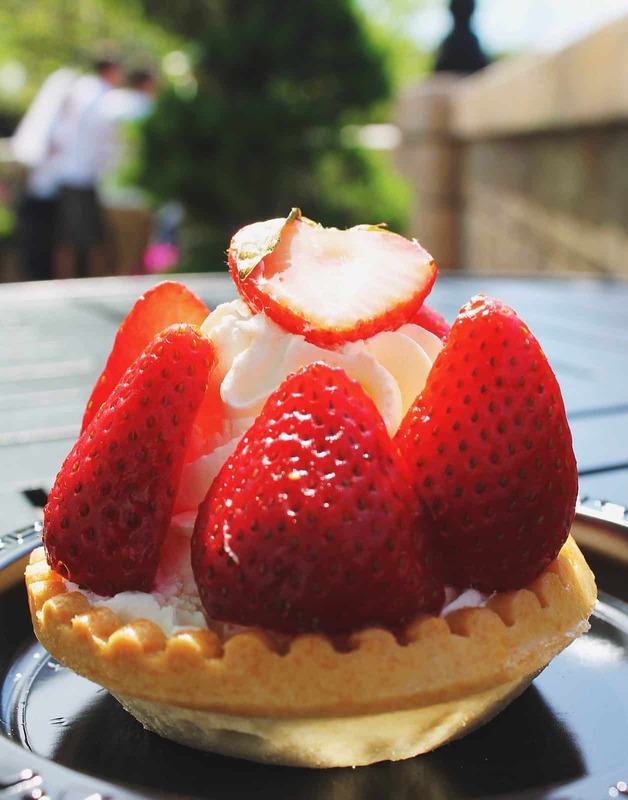 There’s no way that you can resist the smell of freshly made waffle bowls whenever you’re walking down Main Street U.S.A.
Get it from the Plaza Ice Cream Parlor at Magic Kingdom. Although these have nothing on the Mickey beignets at Disneyland, these are almost as good. 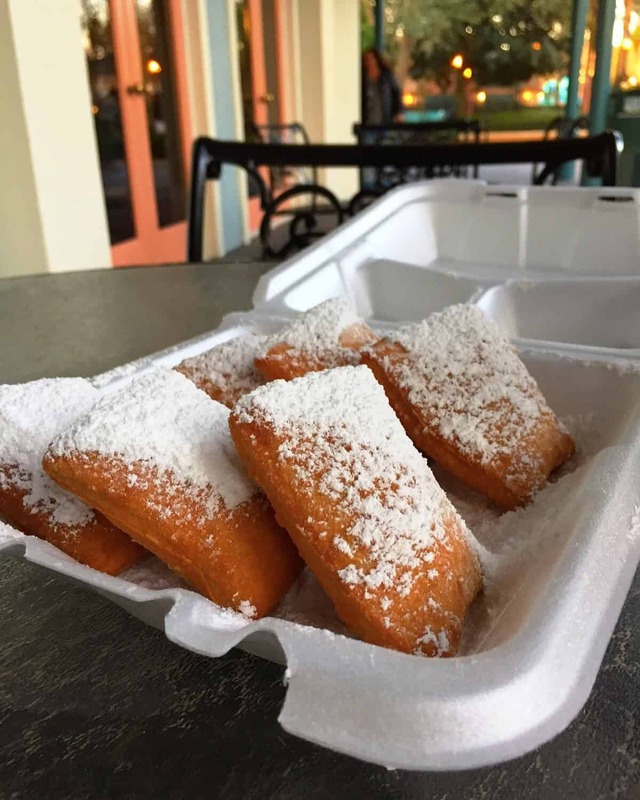 Made fresh with every order, you’ll be wanting to take a trip to Port Orleans French Quarter every day after taking just one bite of these pieces of fluffy goodness. There’s literally no way you can walk around the parks on a hot day without eating one of these delicious vanilla ice cream bars covered in milk chocolate. 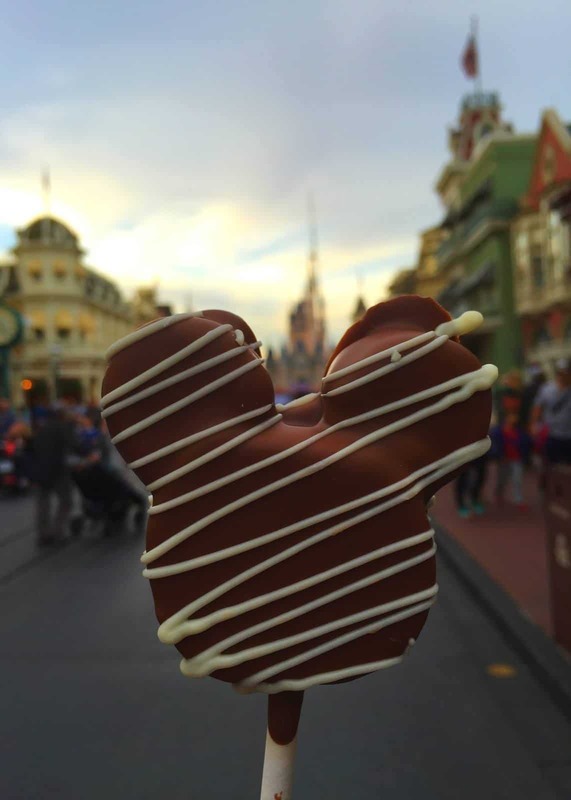 Get it from any ice cream cart or hotel shop across all Disney Parks and resorts. It’s literally impossible for me to visit the french bakery inside the France Pavilion at Epcot without getting one of these. Truly a hidden gem that everyone needs to try (unlike that school bread). Get it from Les Halles Boulangerie Patisserie in the France Pavilion at Epcot. Pretzels do taste better when Mickey shaped. Plus they taste even better with cheese dip! Get it from any pretzel cart across all 4 parks. If there’s one thing that every single person going to Disney World is told to try, it’s Dole Whip. And to be honest, it lives up to the hype. Get it from Aloha Isle (Magic Kingdom) or Pineapple Lanai (Polynesian Resort). Top it with vanilla ice cream and you got yourself a match made in Heaven. Get it from the Funnel Cake Cart at the America Pavilion in Epcot. Be sure to follow me on Instagram for delicious Disney World photos! Skip the beignets! They were awful. Being from Louisiana, our expectations were for a Cafe Du Monde experience. Didn’t even come close!